Many public water systems have lead pipes leading from the main line into homes. Because homeowners are generally considered responsible for the part of the pipe on their property, utility companies often replace lead pipes with copper up to the property line. This “partial lead service line replacement” is, according to many scientists, a cause for concern. Placing lead and copper next to each other has the potential to create galvanic corrosion, where lead corrodes more quickly in the presence of copper and water. That corrosion, which is the subject of the paper with the expression of concern, might increase lead levels in the water as it flows into the house. The CDC said it “found that children living in housing where a lead service line was partially replaced after 2003 were more likely to have [elevated blood lead levels] than children living in housing without a lead service line.” It went on to say that “partial lead service line replacement was not effective in decreasing risk for [higher blood lead levels],” with the risk similar to that for people who never had their lead lines replaced. A number of other papers in the literature disagree with that conclusion. A few months after publication, Virginia Tech scientist Marc Edwards, who was a leading force in the investigation of D.C.’s water supply, and Ohio State corrosion scientist Gerald Frankel, sent Journal AWWA strongly worded criticisms of the article. Edwards’ seven page letter (paywalled) criticizes figures, states that the conclusions are not supported by the evidence and includes excerpts from the researchers’ emails (obtained from Journal AWWA editors) that suggest they wrote the paper before ever getting the data. Individuals accessing this article and related documents (all of which are listed below) are urged to use caution regarding its results. Questions raised subsequent to publication were not fully answered by the authors. Journal encourages readers to be attentive to future research that may provide more clarity on this topic. Boyd, G.R. ; Reiber, S.H. ; McFadden, M.S. ; & Korshin, G., 2012. Expanded Summary: Effect of Changing Water Quality on Galvanic Coupling. 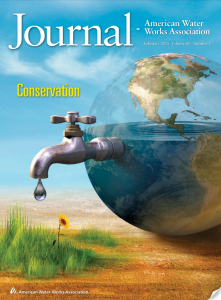 Journal AWWA, 104:3:45. http://dx.doi.org/10.5942/jawwa.2012.104.0038. Boyd, G.R. ; Reiber, S.H. ; McFadden, M.S. ; & Korshin, G., 2012. Full Text: Effect of Changing Water Quality on Galvanic Coupling. Journal AWWA, 104:3:E5. http://dx.doi.org/10.5942/jawwa.2012.104.0038. Letters to the Editor, 2012. Galvanic Corrosion Article Draws Comment. Journal AWWA, 104:12:8. Edwards, M., 2012. Discussion: Effect of Changing Water Quality on Galvanic Coupling. 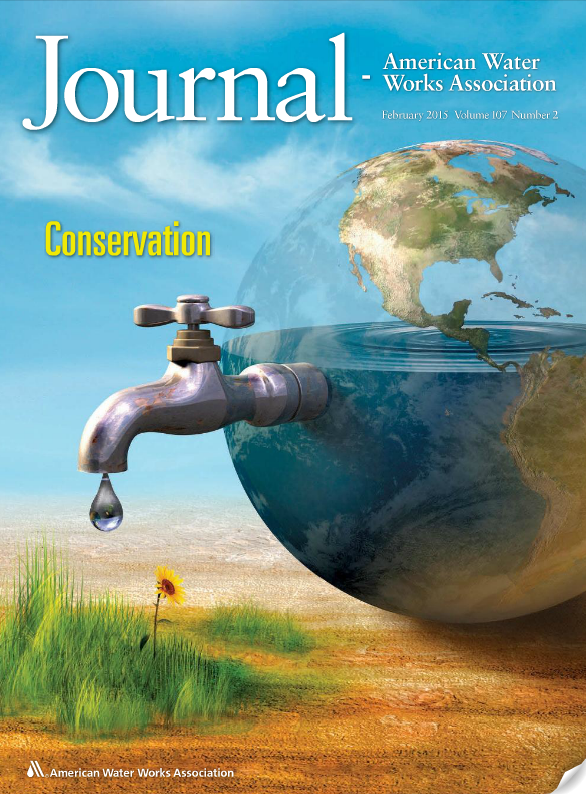 Journal AWWA,104:12:65. http://dx.doi.org/10.5942/jawwa.2012.104.0151. Letters to the Editor, 2014. Concerns Continue Regarding Galvanic Coupling Article. Journal AWWA, 106:1:18. My own impression is that the “expression of concern” means that the authors of the paper could not answer some of my simple questions, and that if you want to read more about it then look at all of the following articles. But I agree it is ambiguous wording…The paper is an outlier in suggesting that galvanic corrosion is never a significant concern, as both prior and subsequent research have confirmed that any physical connection between lead and copper can sometimes cause much higher lead in water. PARTIAL REPLACEMENTS IN HOT WATER? We spoke with Michael Schock, an EPA water specialist, about where this paper stands in the literature, and what’s going on with partial pipe replacements. He also told us that the paper is an outlier, with the majority of the literature supporting the idea that galvanic corrosion is possible when lead and copper are in contact. An effort to update the lead and copper rule is ongoing, and the National Drinking Water Advisory Council – part of the EPA – is leaning towards recommending utilities move away from partial pipe replacements, according to Schock. “There’s too much evidence they can be bad, and therefore that shouldn’t be permitted,” he told us. But the policy isn’t changing any time soon. “We’re looking at one to two years before all the public comments are received and a revision issued. Then four to five years before it goes into effect fully,” he said. Authors from the EoC’d paper also wrote a 2006 report on galvanic coupling prepared by the Cadmus Group for the EPA. It came to the same conclusion about galvanic corrosion — that it is localized and not a major concern. The data – some of which was used in the EoC’d paper – were presented to the EPA’s scientific advisory board when they were discussing partial pipe replacements. Our review is completed and we have determined that the allegations you raised do not rise to the level of criminal charges. Boyd et al had an erratum issued for another paper published in Journal AWWA in 2009 on the chemical that caused the D.C. water crisis, telling readers to “disregard” a reference.